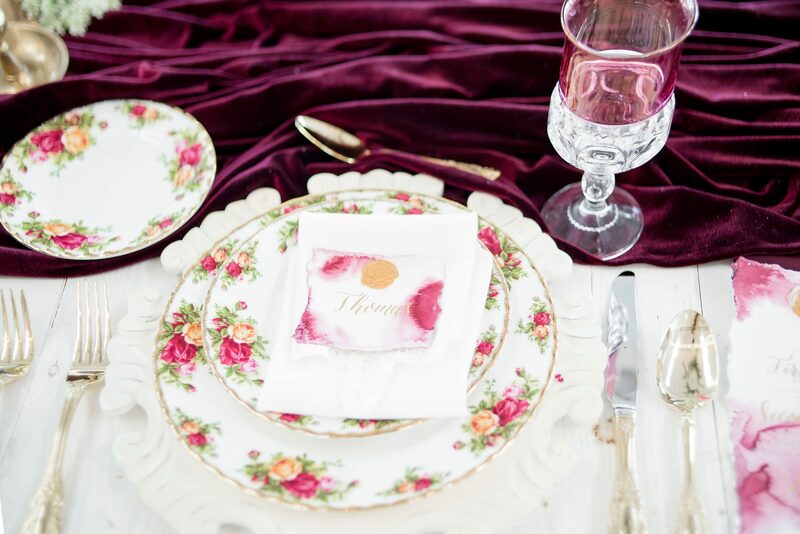 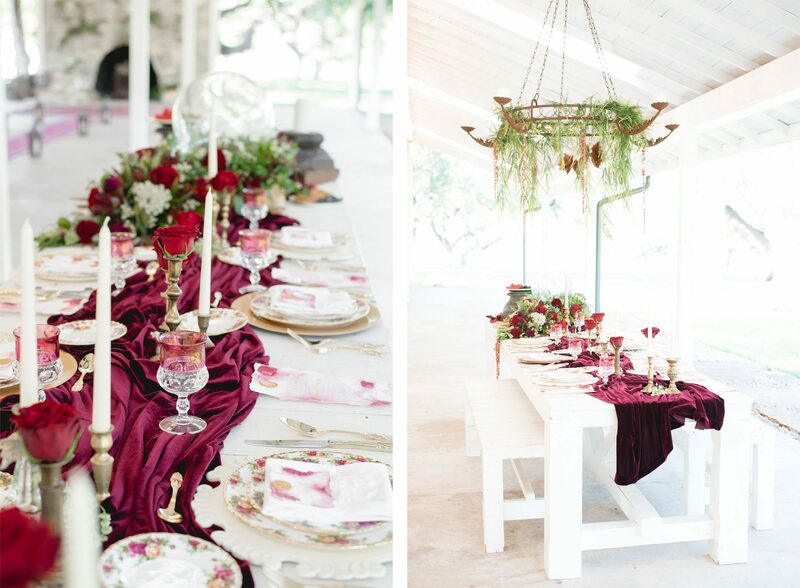 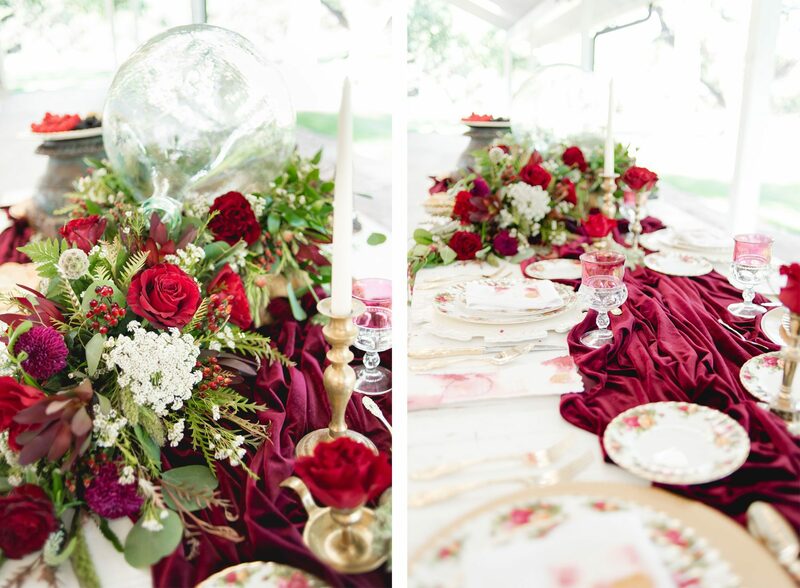 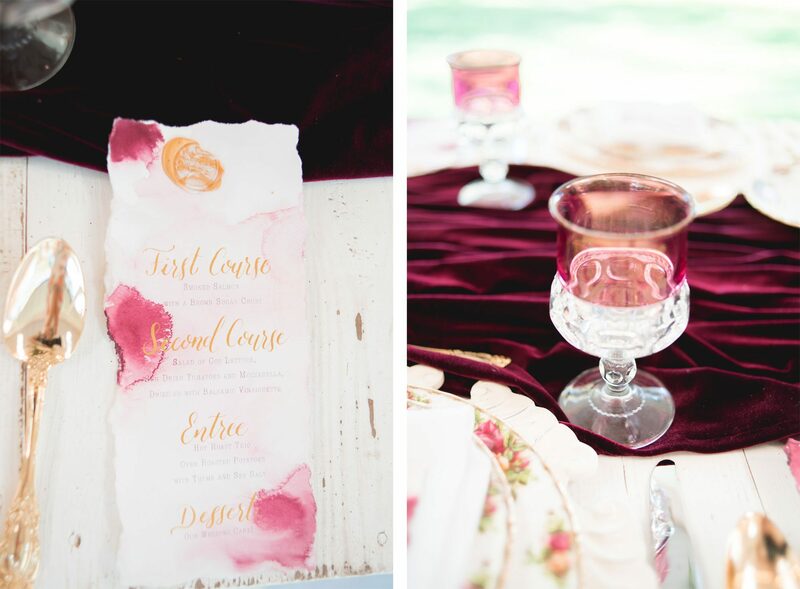 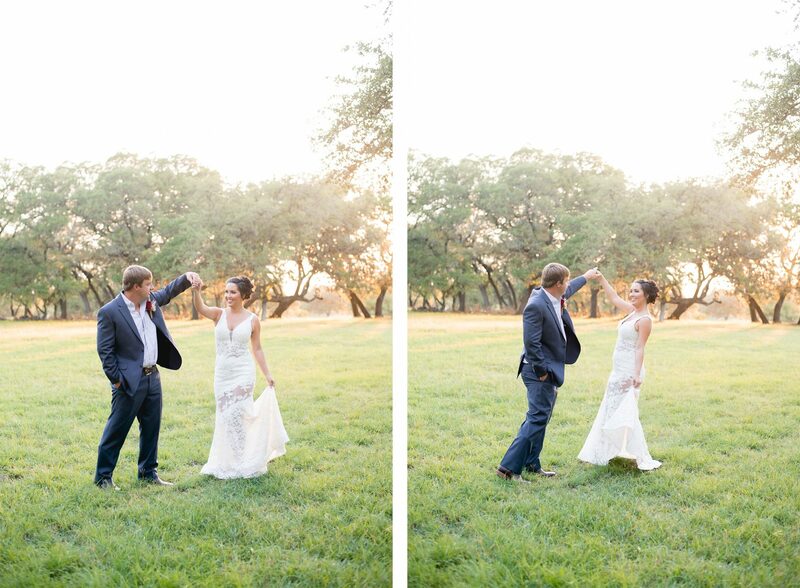 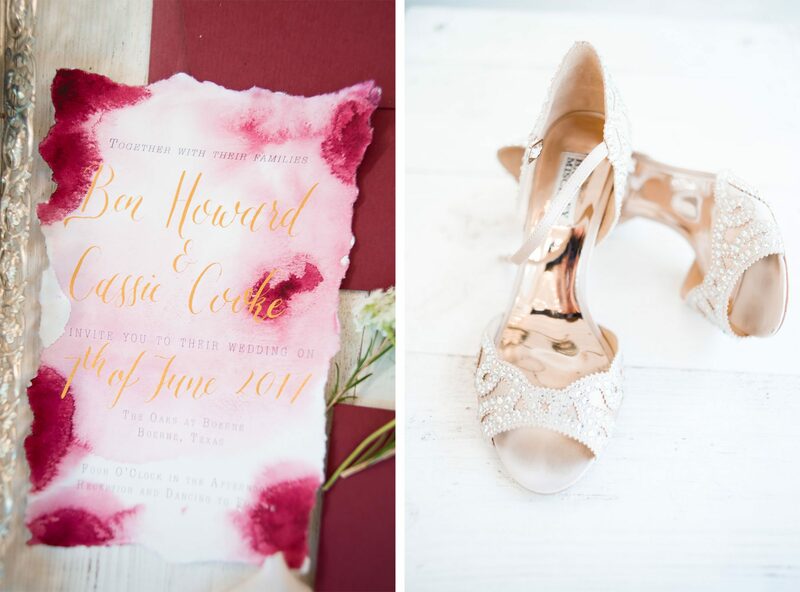 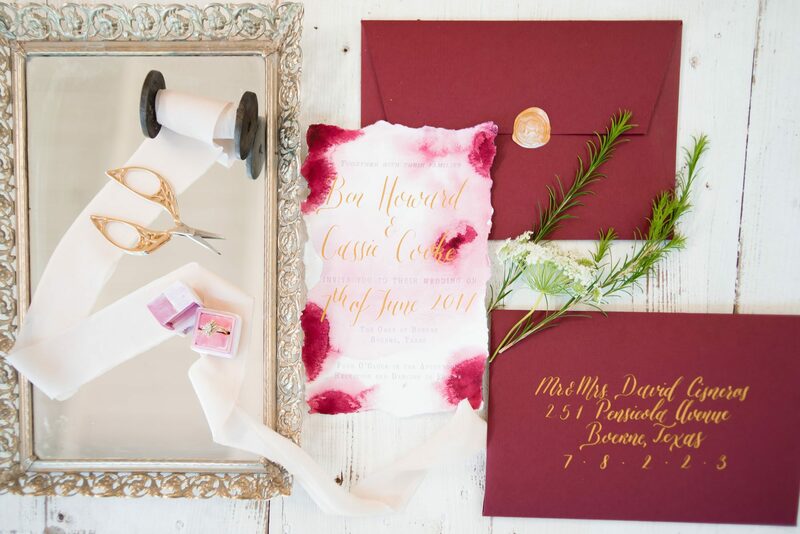 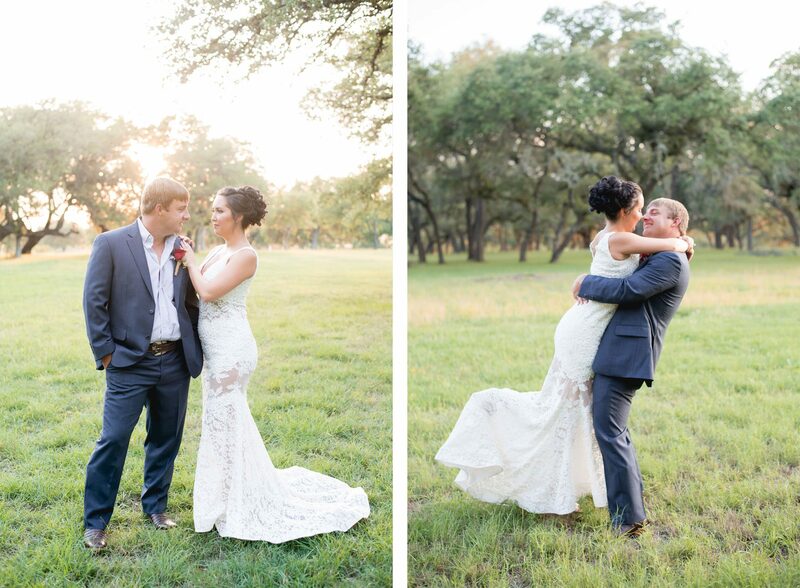 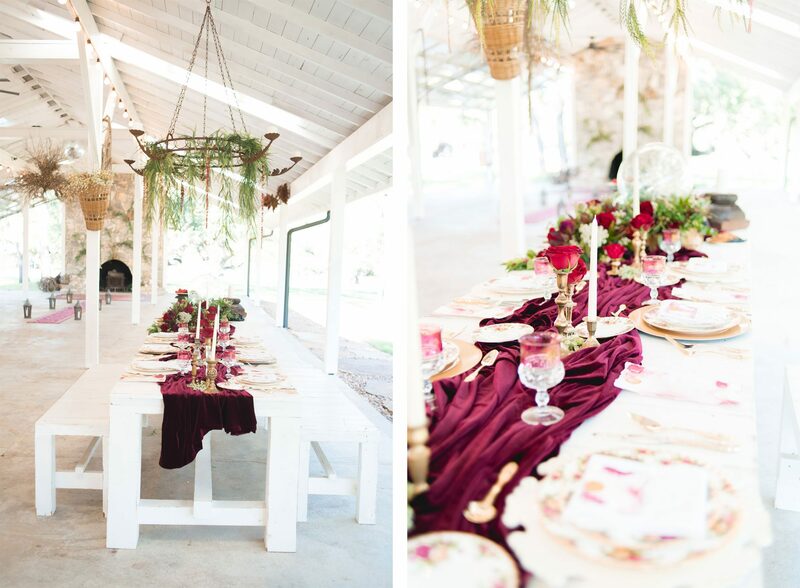 This styled shoot is a pretty blend of old and borrowed, burgundy and blush. 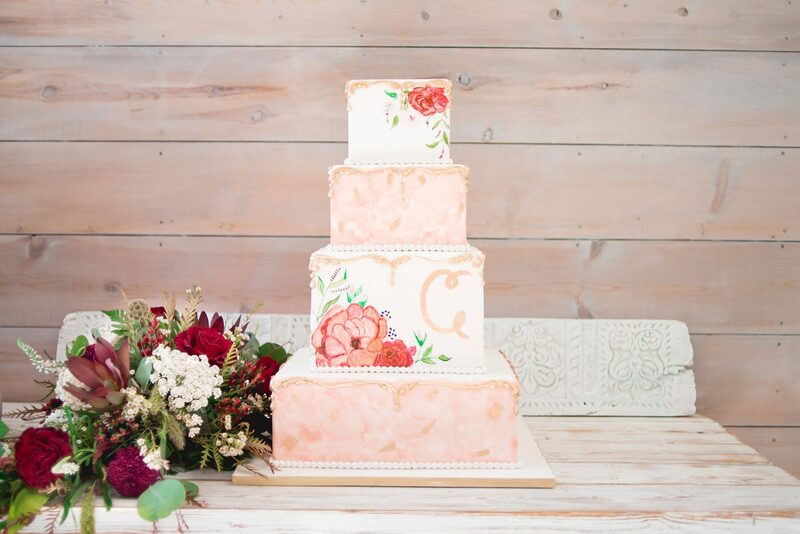 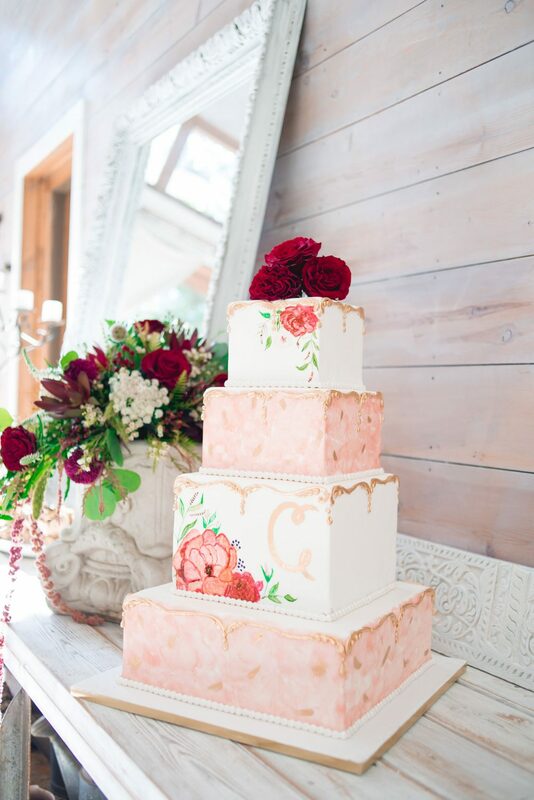 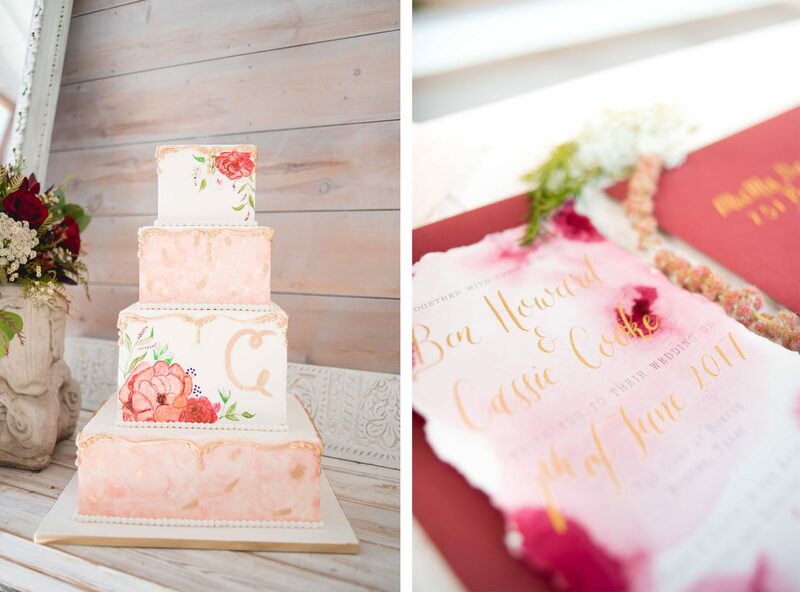 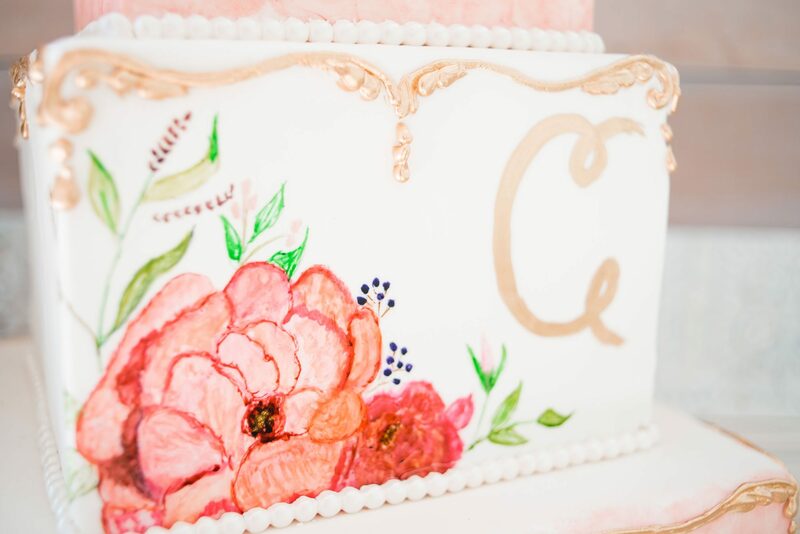 The beautiful hand-drawn florals on the cake in pink and gold along with splashes of watercolor in the invitation suite are the perfect touches for the spring season. 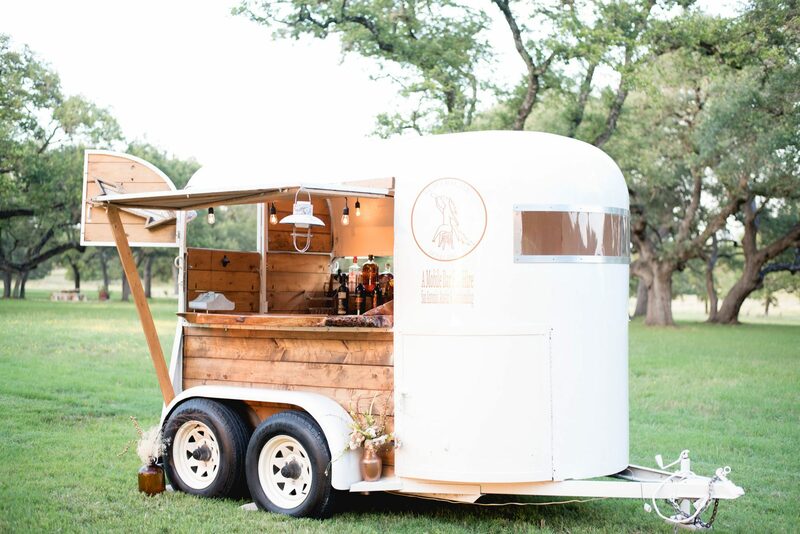 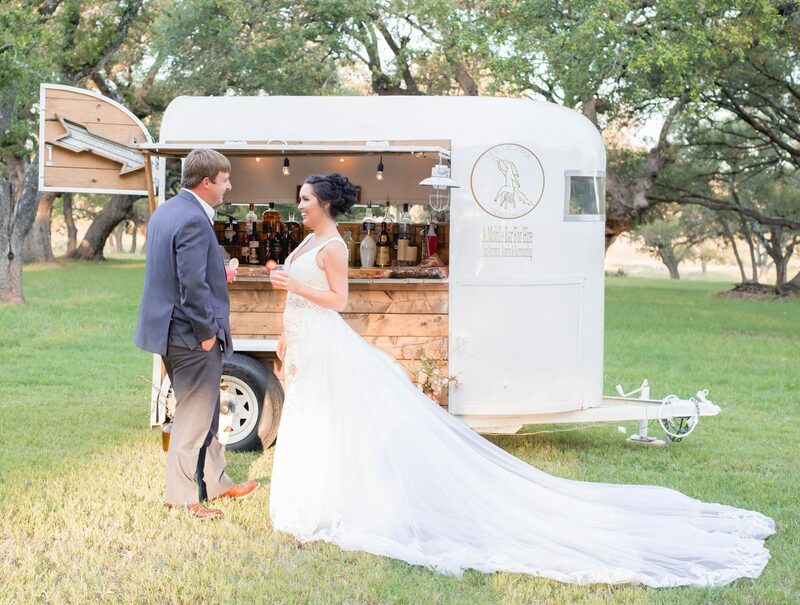 The old rose china, velvet burgundy runner, and antique tabletop creates the vintage vibe while a mobile ‘horse trailer’ bar adds the perfect amount of celebratory fun.